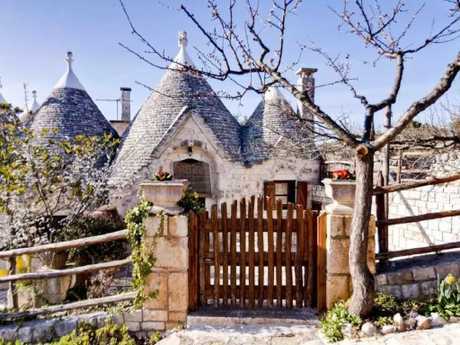 AIRBNB is celebrating its tenth anniversary and with it, it's released a list of its top ten most wish-listed properties of all time. 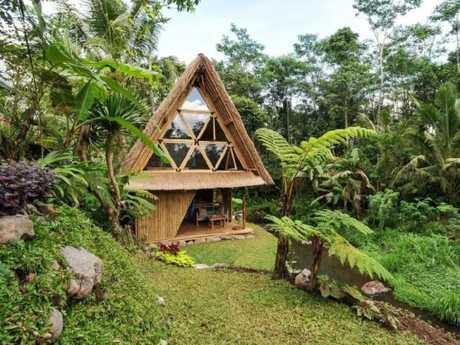 From a super affordable cottage in Bali, to a cave in Santorini and a rainforest cabin in Colombia, the list includes some very quirky rentals, The Sun reports. Many of the top most wish-listed properties have an eco element and two of them are right on our doorstep in Bali. 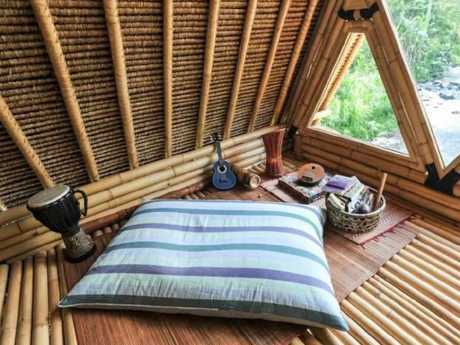 Four were built with bamboo and five are eco retreats, suggesting there are a lot of customers who want to go back to nature and really relax on holiday. Here's the top 10 most wish-listed properties on Airbnb you might want to try and book for yourself. The property at the top of the list, which has been wish-listed more than 164,000 times, is the I Sette Coni property in Ostuni, Italy. 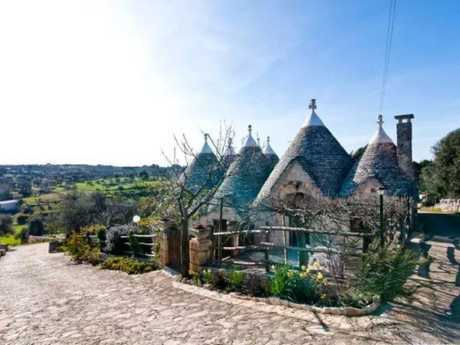 It has conical roofs and a garden complete with olive trees. The property comes in at about $110 per night. 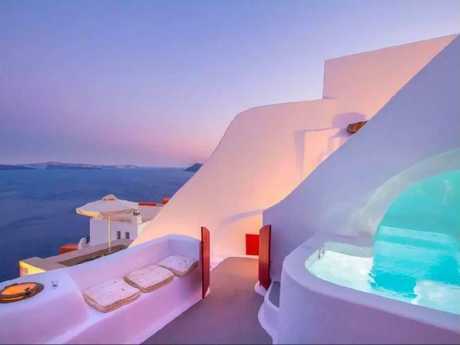 The second most wish-listed property is the Hector Cave House in Santorini, carved into the side of a cliff. It's been added to wishlists 134,000 times to date - and little wonder, as it comes with its own jacuzzi that faces the sea. The house started out as a wine cellar, but is now on the Airbnb market for $392 per night. 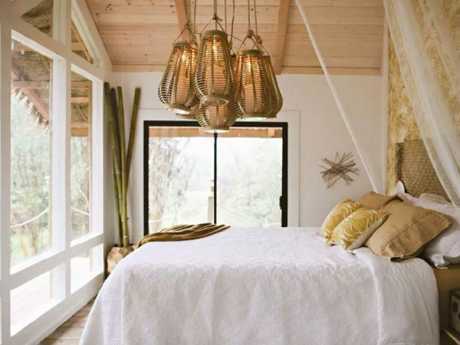 The third property on the list is this cabana in Armenia, Colombia, on a farm. It's right in the coffee-producing region of Colombia, too. It's been wish-listed almost 100,000 times to date and is made from bamboo. It sits next to a stream and users can rent it out for $55, which isn't bad at all. This is the first of two Bali properties that made the top 10 list. But if you are interested you'll need to book this home six months in advance as it's very popular - and has been wish-listed 77,000 times. 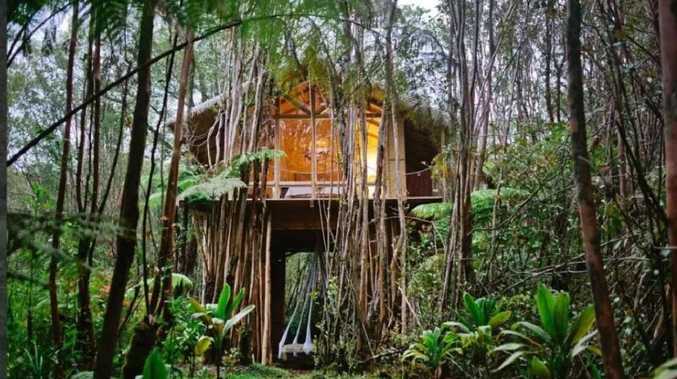 The bamboo home is available for $240 per night - but stay tuned for an even cheaper Bali option down the list. 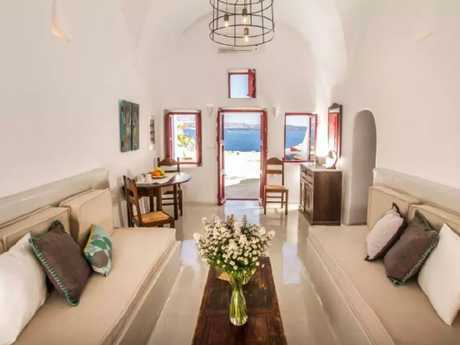 Anyone who's been to Greece in summer knows how hot it can get, so homes need to be cool and airy inside - and that's exactly the case with this stone villa. 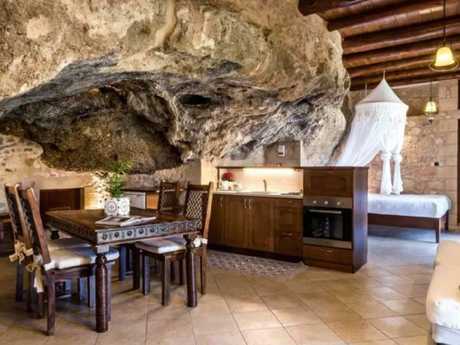 Carved from natural rock, this used to be a family home but is now open for visitors. 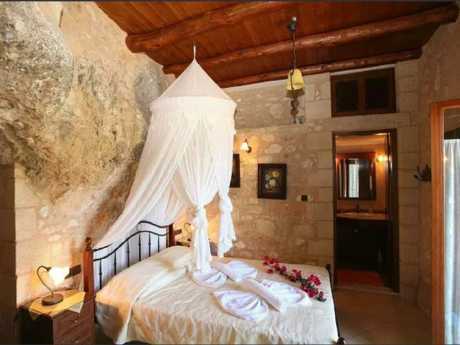 It's been wish-listed over 76,000 times so far and costs $80 per night to book. 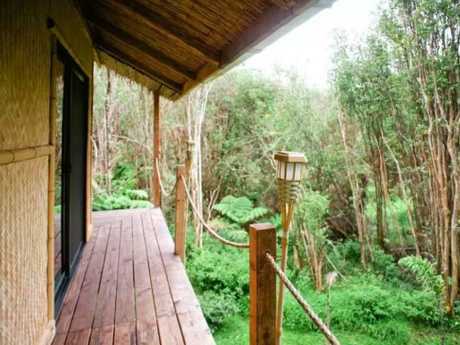 The sixth most wish-listed property is a treehouse in Hawaii that's close to the beach. 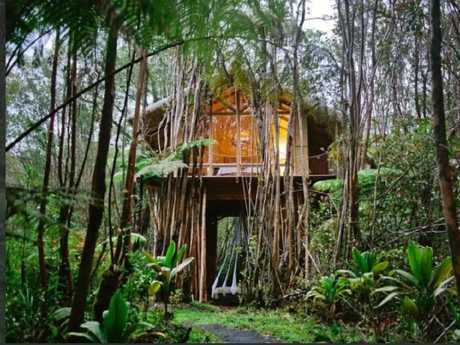 It's set in the jungle, and is also close to the Hawaii Volcanoes National Park. The property has been wish-listed over 66,000 times so far and costs $413 per night. 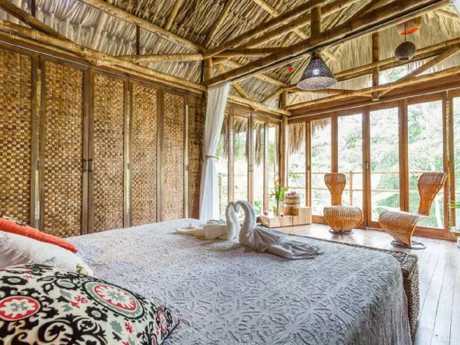 The second Bali property on the list, this eco cottage is also made from bamboo. Situated in a rice field, this property is certainly back to basics, but that makes it all the more unique. 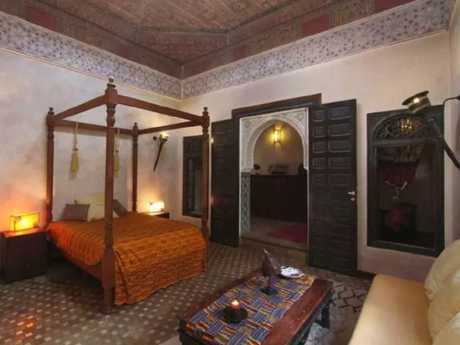 It's been wish-listed over 65,000 times and comes in at a bargain $90 per night. If you want to get away from it all, this property is a good choice as there's no Wi-Fi - and you're also likely to see rabbits hop by at dusk. There are epic views overlooking the desert, as well as modern interiors and comfy sofas to lounge around on. Wish listed over 63,000 times so far, it's available for $600 per night - and is the most expensive property on this list. In this restored riad in Marrakech, there's a rooftop where you can sip mint tea while being close to all the action of the souk. It's been wish listed 60,000 times so far and comes in at $69 per night. 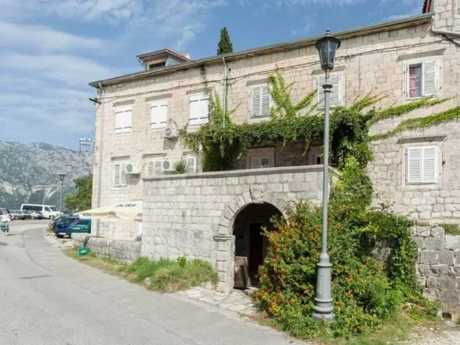 If you're off to beautiful Montenegro, this is the place to stay in the town of Kotor. This property has a private terrace that looks out over the water and has been wish listed over 52,000 times. It costs just $63 per night. This year marks the 10th anniversary of Airbnb, which was founded in 2008 by mates Brian Chesky, Joe Gebbia and Nathan Blecharczyk. It was originally called Airbedandbreakfast.com. 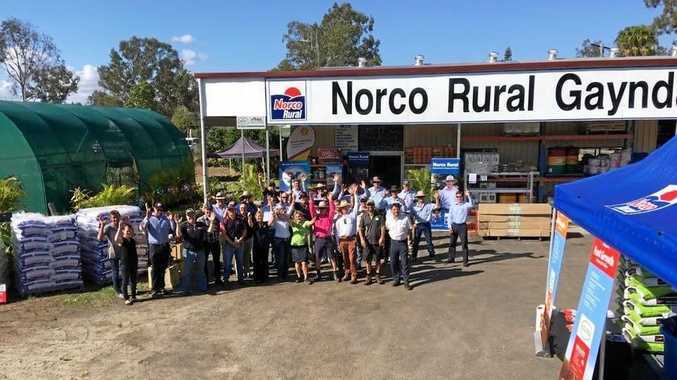 At the start, there were just 800 people signed up. Ten years later, the company has had more than 300 million guests.